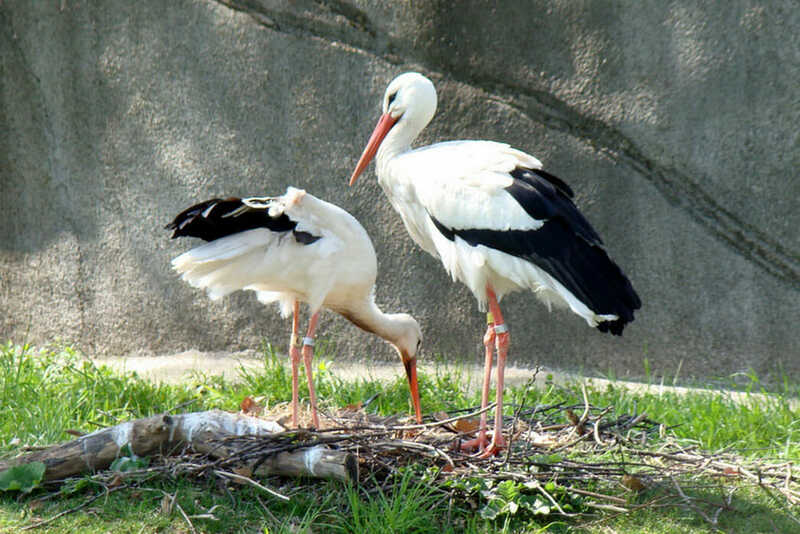 The white stork can be found in the African Forest. These tall, long-necked wading birds have red legs and pointed red-orange bills. The white plumage of their heads, necks and bodies contrasts with black wing feathers highlighted with a sheen of purple and green iridescence. This species is the genesis of the myth that the stork brings babies. A symbol of fertility and good luck, they often nest on rooftops and chimneys in the spring when their chicks are typically born.